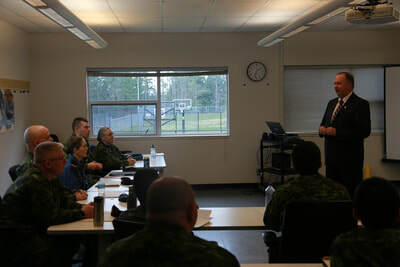 Squadron and Corps sponsoring committees and individuals who are planning DWD events for COATS members are encouraged to contact the Association to see how we can support the event! Our email is cicbranchbc@gmail.com! 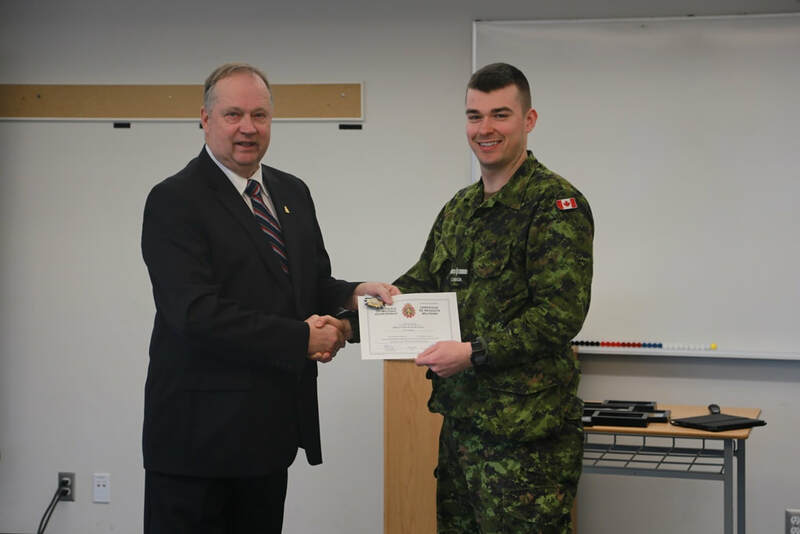 The Association Welcomes Newest Members of the Branch! 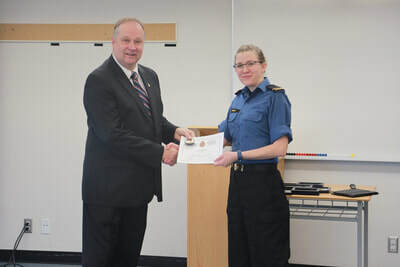 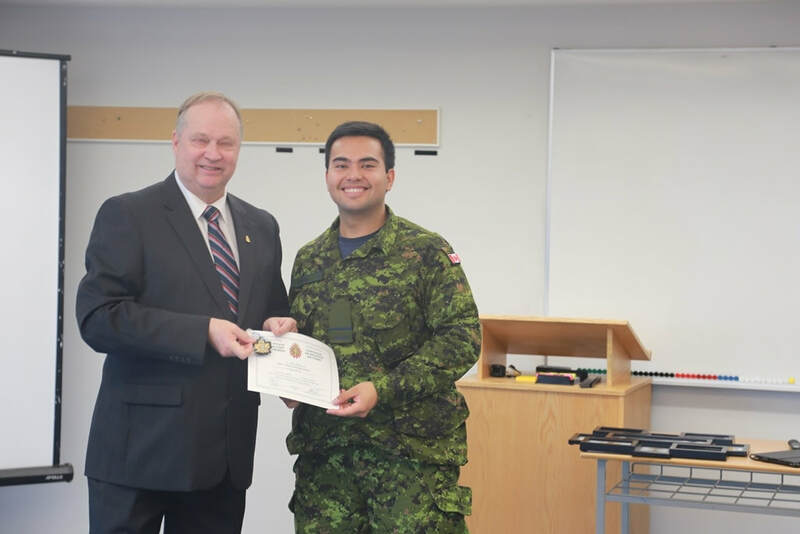 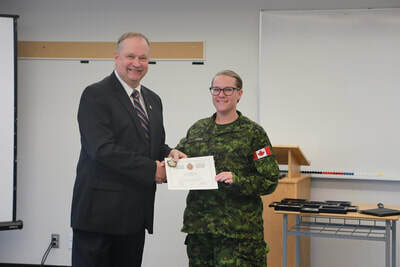 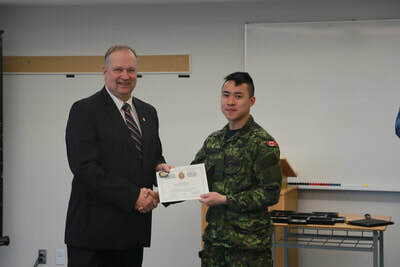 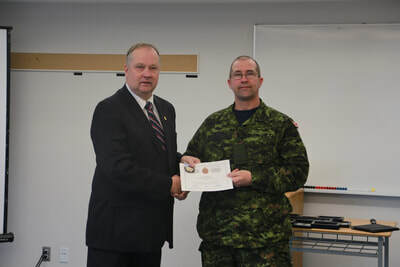 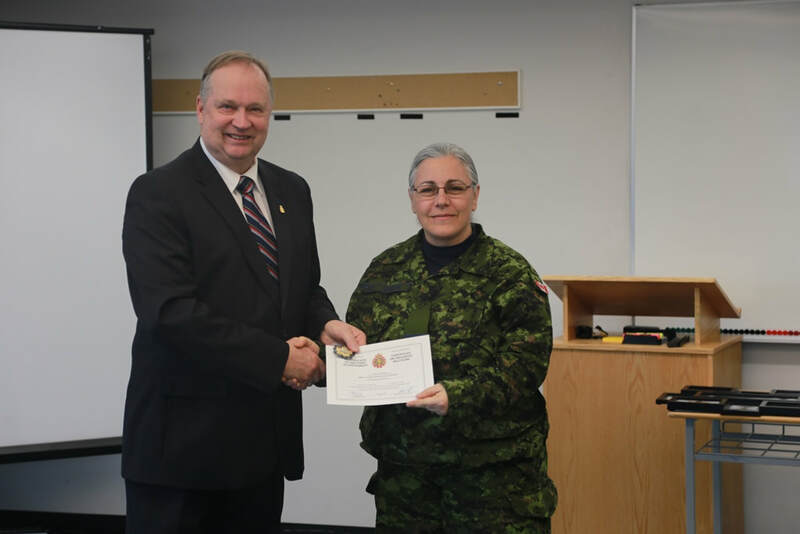 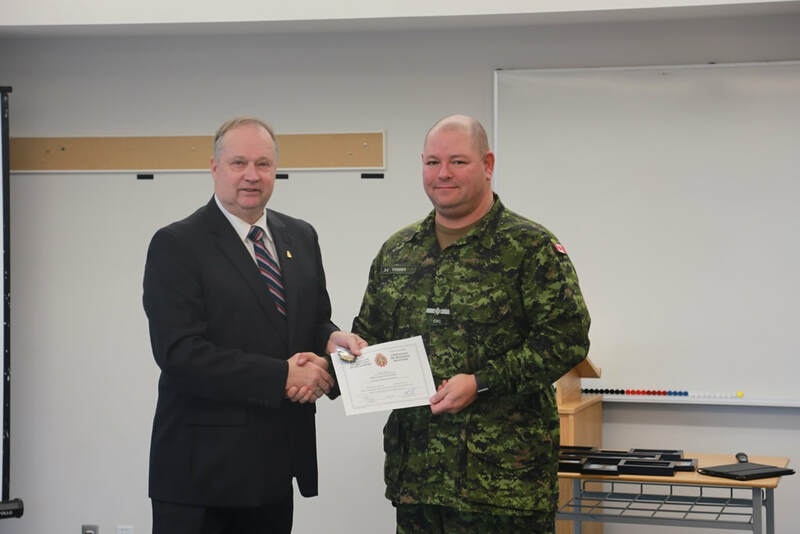 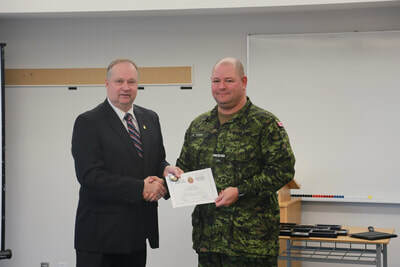 Lieutenant-Colonel (Ret) Steven Deschamps (Branch Association founding president) presenting a gold embroidered Branch tri-service cap badge to each of the graduates of the March 2018 Albert Head Cadet Instructor Cadre Occupational Training Course (OTC). 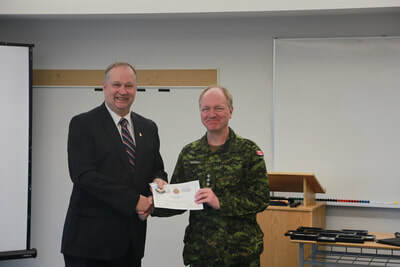 The badges were fully funded by the CIC Branch Association of BC. 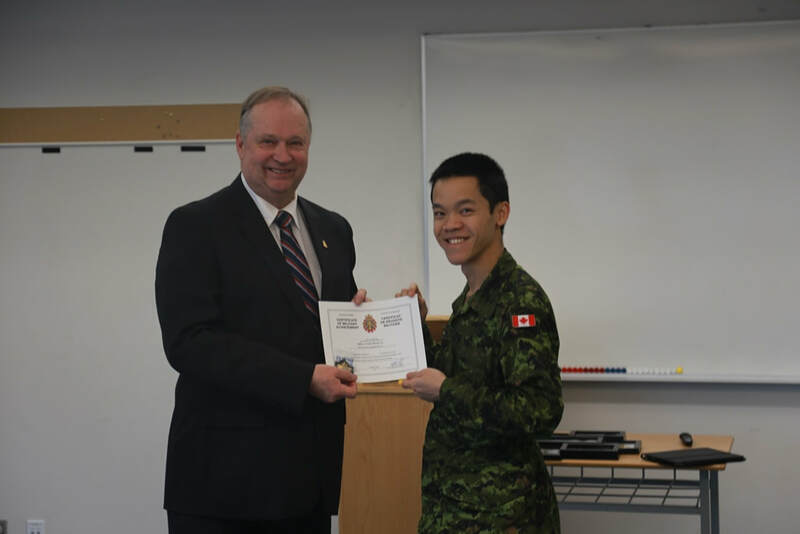 Completion of the OTC is the final mandatory training step to qualify to be commissioned as a CIC officer in the Canadian Armed Forces. The CIC Branch Association of BC exists to support our members' professional development, growth and pride through a variety of programmes. 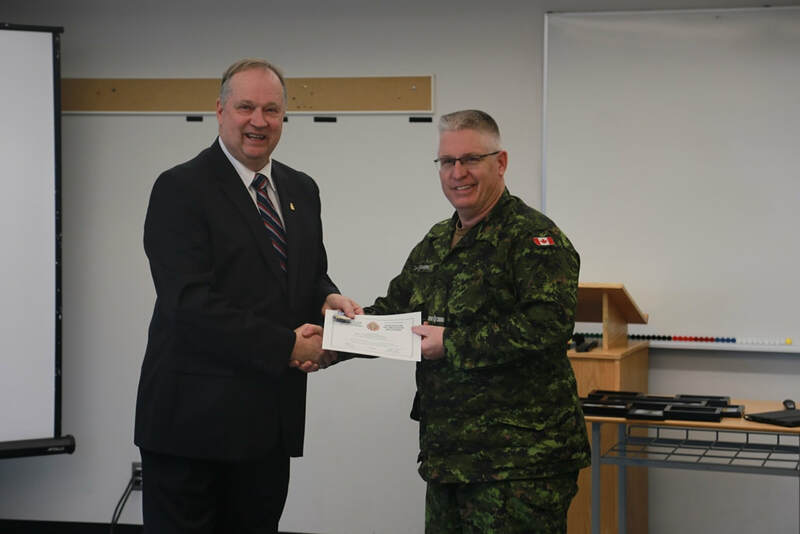 Funding for Association activities is raised through membership fees, kit shop operations and donations.